After a number of false dawns in the intervening period, mankind is set to make a huge step toward sending humans away from Earth for the first time since 1972 in December as NASA prepares for the first test flight of their new Orion spacecraft. The agency’s new baby will become the first human-rated vessel to leave Earth orbit since Apollo 17 returned from the Moon 42 years ago, and will pave the way for manned exploration of asteroids, a return to the Moon and onward missions to put the first human on Mars. Originally conceived as part of the ill-fated Constellation program under the Bush administration, Orion survived sweeping budget cuts that forced the closure of its parent plan in 2009 before quickly becoming part of the new combined Orion & SLS – Space Launch System – program fostered under Barack Obama’s premiership. The ship bears no resemblance at all to the preceeding shuttle so familiar with the man in the street, instead tracing its lineage back to the dawn of the space race between the US and the Soviet Union and the capsule designs that became common cultural icons. Although borrowing the same flight profile, Orion is almost twice the size of the Apollo spacecraft that carried the first Moonwalkers, and carries double the crew – 6 as opposed to Apollo’s 3. 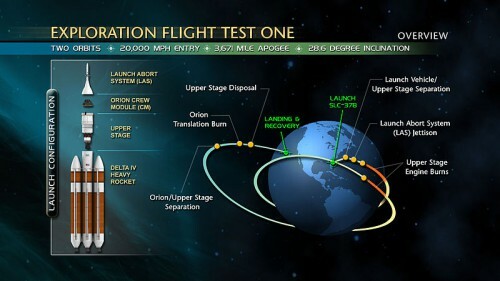 While Apollo’s endurance was maxed out after the standard 12 days of the final three Lunar landings, Orion intends to extend that to 21 days exploration time; such a difference could prove vital should a situation similar to the infamous Apollo 13 mission ever occur. 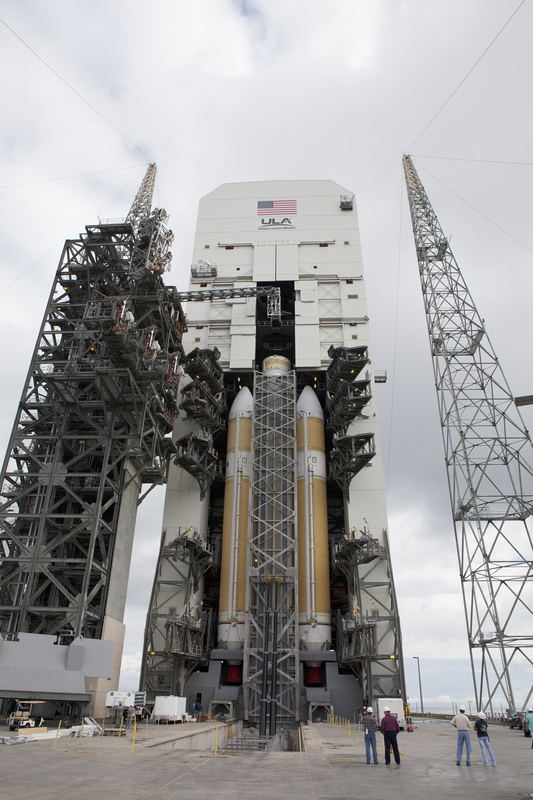 While Orion is already closer to realisation than any other mooted American manned deep-space program since Apollo, there are still extraordinary risks that threaten to bring progress to a grinding halt. While NASA has secured the $3 billion annual budget for continuation of the Orion and SLS development, there is not a dime left on the table for associated projects. Building Orion is a must for the sake of national prestige; the US public will only tolerate US astronauts riding to orbit on old rival Russia’s spacecraft for so long, even in a country suffering deeply from the effects of the 2008 financial crisis. But Orion could fulfil the role of transporting astronauts to the International Space Station while being launched on existing boosters such as the Falcon and Delta rockets that have been launching satellites and interplanetary probes for decades. SLS’s only reason for existence would be to haul aloft payloads intended for missions to the Moon and beyond. There is no existing funding to design a lunar lander, let alone staging posts for Mars missions and bases on the red planet. In Apollos heyday, a healthy budget was organised for one thing and one thing only – making that first Moon landing. With the ISS, rovers on Mars and a myriad of Earth-orbiting weather and communication satellites to maintain, the NASA of the 21st century has to split significantly lower funding levels among a great many commitments. The maths, currently, don’t add up. NASA is trying to do three or four times as much work, on a tenth of the budget it had in 1966; the high-water mark of government funding. SLS is built on the premise that by the mid 2020’s, transport to Earth orbit will be in the hands of private companies like Elon Musk’s SpaceX allowing NASA to devote greater attention and funds to developing the infrastructure needed for mankind’s first Martian expedition. When – if – an SLS eventually rumbles skyward in fifteen years or so time, chances are it will be powered by a descendant of the mighty F1 engine that put man on the Moon in 1969. Rocketdyne’s behemoth that last shattered the Florida peace in 1973 is being redesigned and revived in order to power the next generation of explorers on their way. With tests on a redundant 1970’s vintage F1 taking place in 2013 – an engine removed from Apollo 11 before launch and replaced – and eyes set on winning a 2015 selection for who will be providing power for the SLS, the conglomeration of Pratt & Whitney, Rocketdyne and Dynetics Inc are quite literally powering ahead of their competition. None of the Apollo astronauts will live to see man return to the Moon; let alone take his first steps on Mars. Yet when Exploration Flight Test 1 takes to the Florida skies in December, it’ll bring the day when you and I witness such events for ourselves that little bit closer.